Moments to remember- The life of one Perfect man. I noticed on Twitter today a daily challenge to write a blog on three memorable moments in your life. I thought, “I know I could do something like this, but with a slight twist”. Not my life, but three memorable moments based on three experiences of people from the Bible. We begin our first memory with a young girl called Mary. Her memory begins as a girl soon to be married to a carpenter called Joseph. Both devout Jews, waiting to consummate their marriage. One night in the tiny village of Nazareth, Mary was asleep in her room when all of a sudden she was greeted by an angel in her room. (I promise you it may sound a scary moment but this is a happy memory!) The angel woke her by calling out “O, Favoured one”, Who thinks of a teenage village girl as a favoured one. Confused by this she tried to test the angels greeting. However before she could get a word in the angel interrupted her. “ Do not be afraid” (See told you, not scary) The angel tells her not to be afraid and that she is favoured by God! Quite a thing that! But not just that continued the angel, “But you will have a son! and you will call him Jesus. He will be great and the son of the most high. He will reign over His kingdom forever!” Naturally confused Mary says to the angel “ How can this be, I’m a virgin?” The angel describes how it will come about of how the Holy Spirit will come upon you and the power of God himself will overshadow you and unto you a child will be born. The angel just before leaving proclaims “That nothing is impossible with God!” So Mary in excitement and happiness proclaims that she will obey, as a servant of the Lord. So that’s first of these memories a happy one don’t you think? But who does this boy become? Is this the only memory we have of him? Not by a long shot. Our second memory however you may think is a bit of an anti climax though. Our second memory is from a guy called John. John was a good friend of this boy mentioned in the first memory. This boy was of course Jesus as the angel had said it would be. John was one of Jesus’ closest followers. Every where Jesus went there was John. Even in this memory. This is the sad one. How can they have arrested him John thought. John had just seen his closest friend be taken away. Taken to the local Roman governor. He hoped that would mean he would just want to get rid of him. John was right, the governor was going to leave it up to the people to decide Jesus’ fate. John though, think of all the good he has done. They won’t want to kill him. 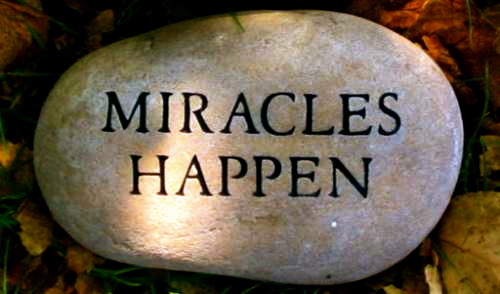 Think of the miracles, But no! “Crucify! Crucify!” That was the only cry John heard. Death. That was the only thing ahead of Jesus now. John now had to witness Jesus, his closest friend, his dearest friend be beaten, humiliated made to carry a cross on his shoulder out of the city. Charged for a crime he did not commit. Then as Jesus, his friend made it to an outcrop just outside the city, the one that looks like a skull, he was made to stretch his arms out on the wood. Then John standing next to Jesus’ mother, Mary, had to witness nails be hammered into his hands and his feet, then to see him lifted as he faced them. Darkness covered the land, people continued to mock. John witnessed as he saw his friend take his final breath. 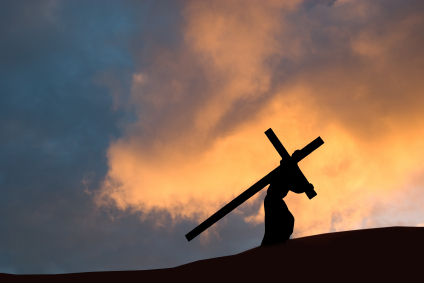 “It is finished!” Jesus cried. John did not understand at the time. Then they pierced Jesus’ side, blood and water fell from his side, proofing. Jesus, Johns friend, Johns teacher. Was dead. Our third and final memory that we will be looking at is another happy/ good one. We have followed one mans journey through these memory’s and we will continue you to with this last one. Our final memory is from a lady called Mary Magdalene. She like John was a follower of Jesus. In our last memory we saw that Jesus died having been crucified. Now because of Jewish tradition they could not finish all the correct rituals after his death. So Mary went to go and pray and mourn for the loss of her teacher. Jesus. She arrives to a shocking sight! The stone that covered the entrance to the tomb. Has been moved. How? That stone weighed a ton. Mary looked in to see the burial clothes. But they were in a pile who could have done this? She thought? As if all they had put Jesus through, could they not just leave him now he had died? Mary heard a voice behind her. She turned presuming it was the gardener. He asked her why she was crying. She wept saying “they have taken my Lord and I don’t know where they have laid him.” She then asked if he had taken the body. If so where? The man looked at her and said “Mary”. Then as though a blind was lifted from her eyes, she said “Teacher”. Mary was delighted to see that Jesus! He was alive. She didn’t care how, but just that he was. Jesus told her soon he would ascend to heaven soon to be with his father. Mary delighted that Jesus was alive could not contain herself, so she ran to tell the others. These are the memories of a man called Jesus seen through the experiences of three people. This amazing life, a life that even death could not stop is a perfect life of one man. This man is Jesus Christ. I hope the true memories that you have heard here will make you explore more of the life of this man Jesus. Feel free to comment below if you want to know more or message the Facebook or Twitter.